If you drive a Mercedes Benz, then you drive a car that is recognized year after year for its innovation, style and unmatched engineering. What Mercedes Benz drivers seek in their autos they should also seek in their Mercedes Benz auto repair, and Dave’s is committed to doing just that. 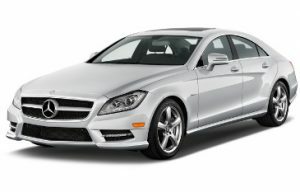 We’ve been providing repair and maintenance in our Bountiful Mercedes Benz service shop for many years. The longevity of our repair shop is due largely to the skill, knowledge, and dedication of our Mercedes mechanics and service staff. At Dave’s Auto Center, not only do we hire the best Bountiful Mercedes Benz mechanics from a mechanical standpoint, but we also hire foreign car mechanics that understand what drivers want when they seek out a Mercedes Benz repair shop – second-to-none quality and precision. Our certified, Mercedes Benz mechanics know the detailed inner workings of this particular make of vehicle from engine diagnosis & repair and computer diagnostics to suspension & steering repair and cooling system service & repair. Because our mechanics have many years of training and work history, they are able to accurately diagnose problems and make the repairs in an efficient, expected time frame. This saves you money in terms of labor costs because at Dave’s Auto Center, you can know with certainty that our ASE-certified mechanics, most of whom have several years’ experience working on Mercedes Benz, complete auto repairs when they say they will. What’s more, our Bountiful Mercedes Benz repair shop and our mechanics uses Original Equipment (OE) parts, a key importance in maintaining the value, safety, and functionality of your car. We never skimp on buying inferior parts to save a buck because we know our customers choose our Mercedes Benz repair shop because of our reputation for quality and integrity. If we don’t have your OE part in stock, we’ll special order it for you and it will arrive in our shop in a matter of days. So whether you need a simple tune up or oil change, a brake service, or a complete transmission workup and repair, you can trust your Bountiful Mercedes Benz auto repair to our family-owned Bountiful business.